The Hill Interiors lighting range is enhanced by a stylish collection of ceramic table lamps. Sure to be a wonderful addition to any home, they have proven to be very popular with customers. Ceramic table lamps tend to complement traditional lighting very well, and with our incredible range, you can see how. 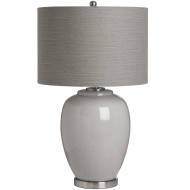 Hill Interiors' extensive wholesale lighting range is further enhanced by this stylish collection of ceramic Table Lamps. The make a wonderful extension to the household lighting. Our ceramic lamps take a maximum 60w E27 bulb but we recommend 11w energy saving bulbs. 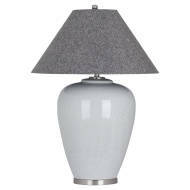 Browse our collection of wholesale ceramic lamps today. Login in to your account to view our amazing trade prices and order today using our secure process.